Since the 1930s and even to this day, the dreadnought sized acoustic guitar has been the most mass produced size instrument in not only America, but the entire world. I own two dreadnought guitars myself, and I've been playing that size guitar for over twenty years now. I'm just comfortable with the size and the feel of the flat top dreadnought guitar. I'm not a big man, I'm rather average in size - but men and women larger than me sometimes prefer a smaller than dreadnought size guitar for it's greater ease of play-ability. But it stands to reason, and is simple logic that persons of smaller stature, whether they be men, women, or growing children - also play the guitar. There are literally millions of guitarists, I'm sure, that play much better than I do - and are smaller than I am. For anyone of any size though, these smaller than dreadnought sized instruments offer a world of possibilities including, greater ease of play, increased ease with which to travel, and a flat out superior sound for some kinds of music. The fact of the matter is that with dreadnought or jumbo sized instruments - one often has to deal with an overpowering bass response from the largest strings - not so with these guitars! Smaller bodied instruments have most always been the preferred size and style for finger style players, and have greatly increased in recent years even for the acoustic flapticker - simply because they offer a more even tonality between the bass strings and the middle and upper register, higher pitched and smaller strings. If you have a child or teen that is a budding musical prodigy guitarist - well, these guitars might more easily fit their current size; and should they grow much taller and larger - these guitars are all professional level instruments that can and will last an entire lifetime for the person that takes care of them. But if you are a man or a woman of smaller stature, or a man or a woman that simply isn't comfortable with the dreadnought instrument for various reasons - then perhaps one of these guitars will be THE instrument for you! Hey, I'm not a professional musician. I'm just a long suffering amateur that enjoys himself with acoustic guitars - and I was raised in a family where they were everywhere around me, so I well know that one need not be a professional to want to own, and to appreciate a fine instrument for an entire lifetime! I'm listing the Bourgeois OM Standard here as the first - because I can't imagine a better guitar. I've played two or three Bourgeois guitars in various Dallas, Texas area guitar stores, and I swear to everyone that reads this that the Bourgeois Guitar Company makes some of the finest instruments in the entire world. They are a smaller company than someone like C.F. Martin & Co., but the guitars that I've played from the Bourgeois Guitar Company were always the equal or better of any comparable guitar in every store that I've seen them in. I'm seriously telling you that nobody makes a better guitar than Bourgeois does, Dana Bourgeois is a guitar building artist out of the state of Maine. There are several guitar manufacturers that make guitars as good as Bourgeois, but there are absolutely ZERO guitar manufacturers that make better guitars. Dana Bourgeois first became a name in guitar manufacture with Schoenberg Guitars - making these very same smaller sized instruments for that company - he's an absolute master builder, a true artist of a guitar builder, and of course, this guitar is a true masterpiece. This guitar comes, of course, with a hard shell case, a limited lifetime warranty; and features all solid wood construction of Adirondack Spruce for it's sound board top, mahogany back and sides, an ebony fingerboard and bridge, scalloped braces, and a urethane lacquer finish. It has Waverly tuners, and measures 25.5 inches in scale with a 1 3/4 inch width at the nut. This guitar is an absolute flawless instrument that is of and beyond heirloom quality. It is priced right at $3,000.00 US Dollars, and is truly a bargain at that price. There's not a more professional level instrument maker, and these guitars are treasures and lifetime investments without compare. The Bourgeois Vintage OM. Listen To It here! As the proud owner of a Santa Cruz Guitar Company guitar - I'm forever grateful to the men and women that work for that fine company for the timeless guitar that I own. Mine's a keeper, and all of them are. Through the years whenever I've seen a Santa Cruz Guitar anywhere I've instantly become near to salivating at the mouth to pick it up, and play it. The Santa Cruz Guitar Company out of Santa Cruz, California is another small company that makes guitars that are without superiors anywhere in the world. This Orchestra Model sized instrument built to Martin's Pre War specifications could have easily been the first guitar listed here - let's call it a tie. This guitar is the least expensive instrument made by the outstanding Santa Cruz Guitar Company, and is prices in the range of $2,500.00 - $3,000.00 US dollars. 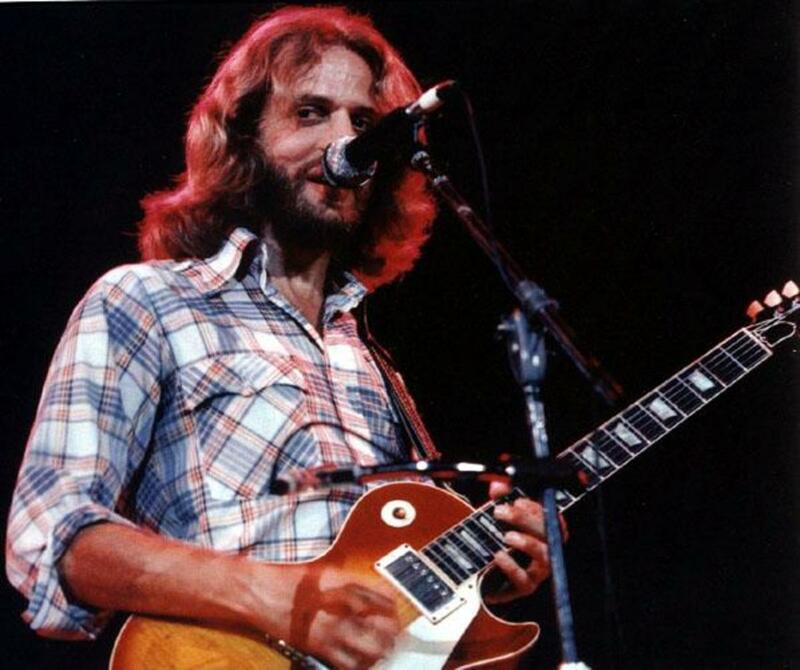 It features, of course, all solid wood construction consisting of a solid Sitka Spruce sound board top, solid East Indian Rosewood back and sides, ebony fingerboard and bridge, forward shifted and scalloped X bracing, open back Grover tuners, and nitrocellulose finish. It measures 25.375 inches in scale, and 1 3/4 inches at the nut. Have a listen to the AMAZING playing done on one of these guitars in the video below!! The Santa Cruz OM/PW Guitar! The Gibson LC-1 Cascade Guitar! The Gibson Guitar Company is the only American guitar company that can compare with the C. F. Martin & Company when it comes to being legendary guitar manufacturers with timeless and original instruments dating back before the second world war. Both of the first two instruments listed were copies of Martin guitars made by two of the best small guitar companies in the business. This guitar, however, is a Gibson guitar - and it's going to be very different in many ways from any guitar modeled after a Martin design. This guitar is totally unique. 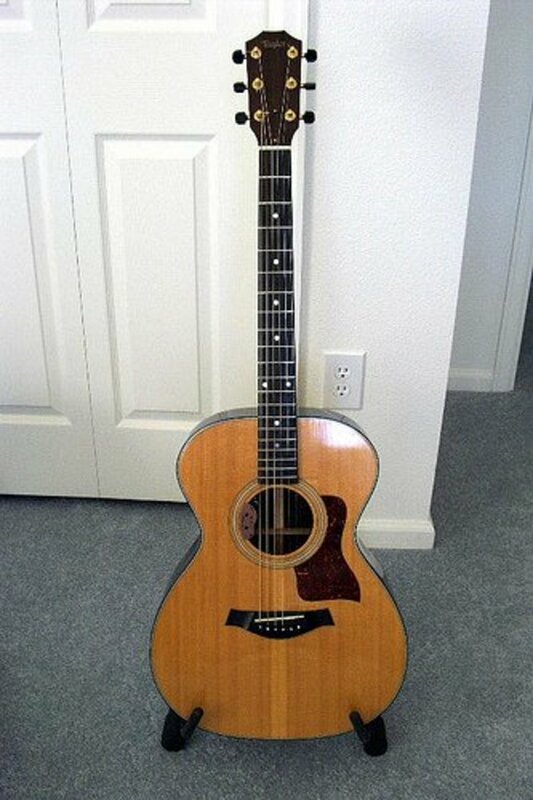 Someone would literally have to search far and wide throughout the world and the web for another guitar like this one. It's going to have a sound totally different from the other guitars on this list, but the quality of the instrument is going to be equal to the others. It's really a matter of style and preference. 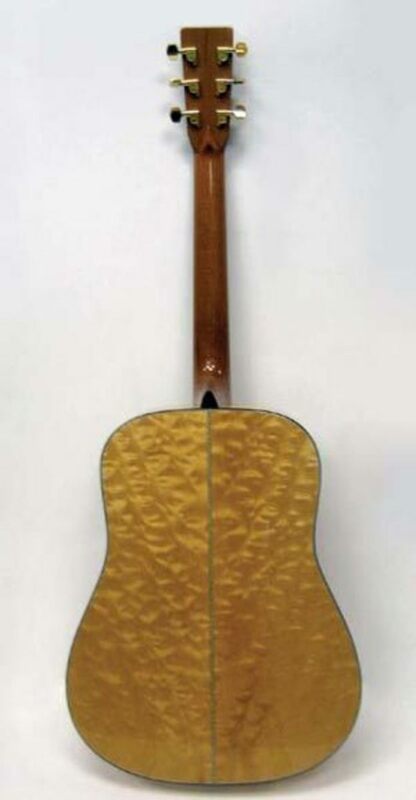 Featuring a solid cedar top, solid maple back and sides, rosewood fingerboard and bridge, scalloped bracing, a dovetail neck joint, flamed maple neck, Gotoh Tuners, nitrocellulose lacquer finish; and measuring 24.75 inches in scale with a width of 1 11/16 inches at the nut - this guitar comes with, of course, a hard shell case and a limited lifetime warranty. It is priced at $2,500.00 US dollars. 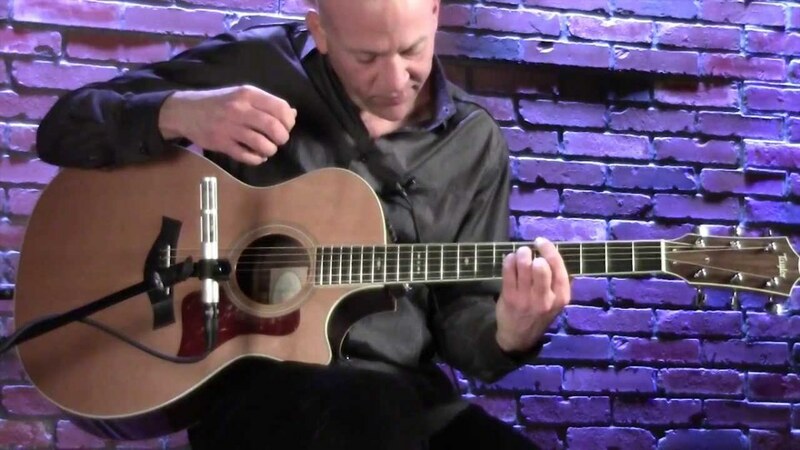 This guitar comes standard with acoustic/electric Bluestick pickup that features a volume control inside the sound hole in lieu of knobs in the guitars side. 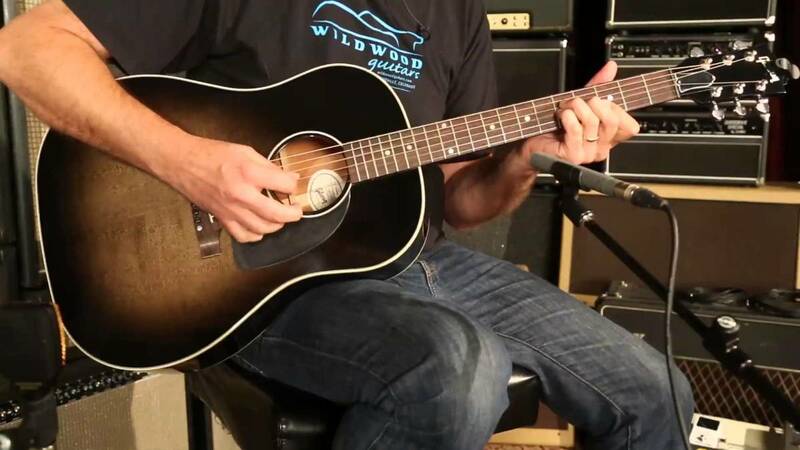 This guitar was built and voiced with contemporary or old time acoustic country blues in mind - but also does well for finger stylist. This is altogether a unique instrument with a unique tonality and vibe! Even less standard and far more unique than even the Gibson LC-! Cascade is practically every guitar made by the Breedlove Guitar Company. 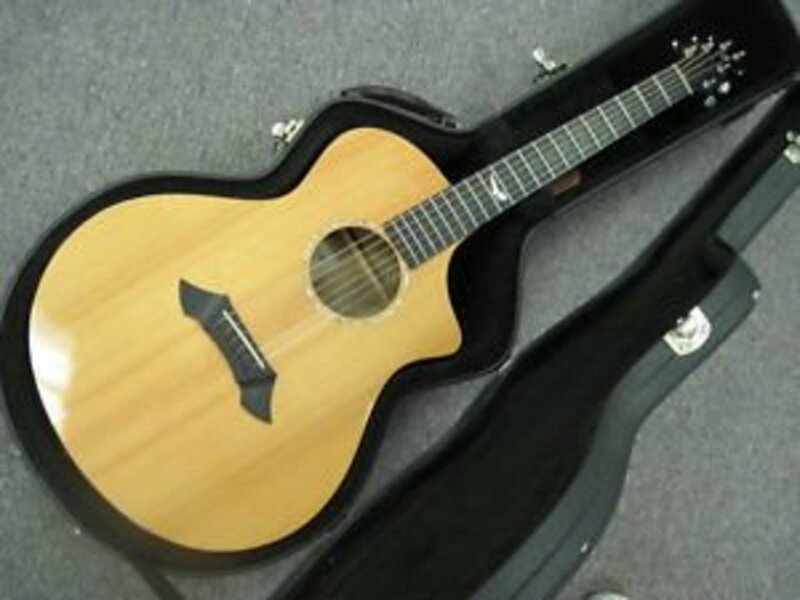 The Breedlove Guitars that I've seen and played have all been beautiful, and they have their own definite style of body - they don't do much of anything so far as copying or trying to improve upon the classic designs - Breedlove guitars are all unique. This guitar comes with a hard shell case, limited lifetime warranty, solid Sitka Spruce sound board top, solid Myrtle wood back and sides, ebony finger board and bridge, scalloped braces, catalyzed polyurethane finish, and Grover Mini tuners. This guitar measures 25.5 inches in scale, and is 1 3/4 inches at the nut. This guitar is priced at $3,000.00 US Dollars. With the unique style cutaway design, the unique shape of the head stock, and bridge - this guitar is an attention grabber. It's a total non conformist. Breedlove guitars just don't give a flip what you think about their looks, and that is why they look so awesome! 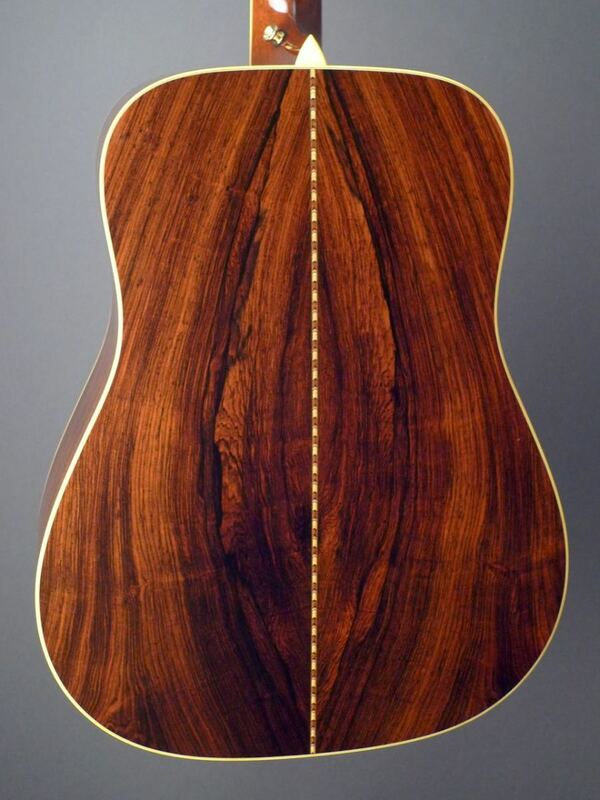 What is most unique about this specific guitar, however, is that it uses Myrtle wood for it's back and sides. Myrtle wood is a totally non traditional tone wood - and this specific model of guitar is best suited to finger stylist and persons who don't use a heavy pick style attack. This is an outstanding guitar for the musicians suited to it, or anyone looking for something different. The Taylor 712 Acoustic Guitar!! The Taylor 712 Acoustic Guitar! I can't say that I've met Bob Taylor, but I can certainly say that I've stood a mere ten feet away from him on several occasions to hear him talk about guitars, and guitar building. I've had my hands on more Martin guitars than I'll ever possibly remember, and neither would I be able to ever remember just how many Taylor guitars that I've had my hands on. The Taylor Guitar Company is making HUGE strides in guitar innovation, and have set a modern standard in that they do mass produce fine guitars, and also in that those guitars are unlike Martin guitars each and every time that one is produced. Taylor guitars have their own unique bracing pattern, and their own unique voice, and what could possibly be said against a company that can take wood from old warehouse pallets and turn it into a fine guitar? 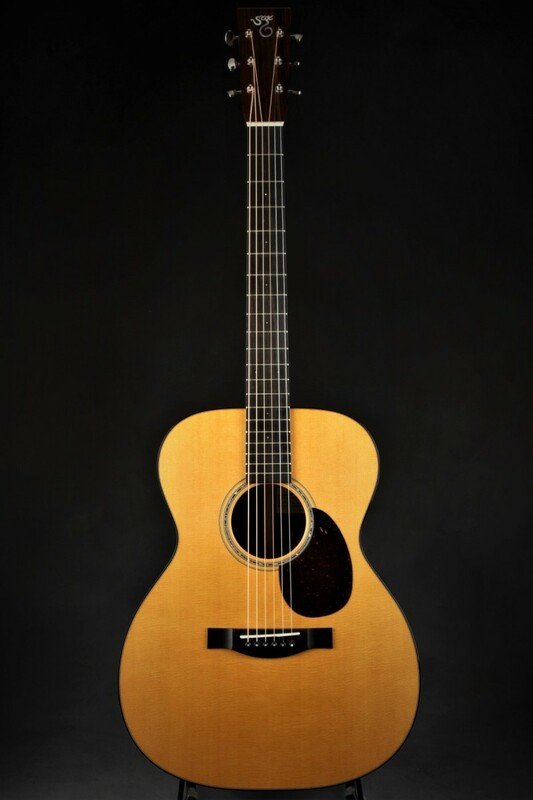 For a list price or around $3,000.00 US Dollars the Taylor 712 comes with a hard shell case, and a limited lifetime warranty. 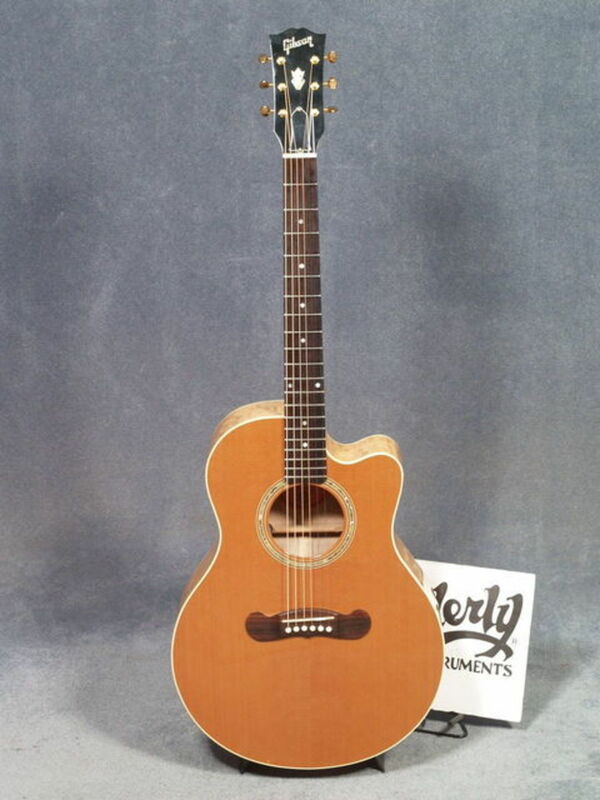 This guitar features a solid Engelmann Spruce sound board top, solid East Indian Rosewood back and sides, ebony fingerboard and bridge, Taylor's unique bracing pattern with scalloped braces, polyester finish, and Grover tuners. This guitar measures 25.5 inches in scale and 1 3/4 inches at the nut. Despite the huge popularity and appreciation for the Taylor Guitar Company's dreadnought sized guitars - many people feel that their smaller size guitars are the company's strongest instruments. Despite it's Martin Orchestra Model appearance - all Taylor guitars are made to unique dimensional specifications, and this one is no exception. The unique design, shape and feel of Taylor brand necks is often times the very thing that makes someone a Taylor Guitar convert. Give a Taylor guitar a try before you decide that you want a Martin, or an offering by one of Martin's smaller competitors. All of these guitars are spectacular instruments. Anyone who purchases any one of these guitars has purchased a guitar of superb value that will not only last a lifetime should it be cared for properly, but can be handed down through the generations as a prized family heirloom. 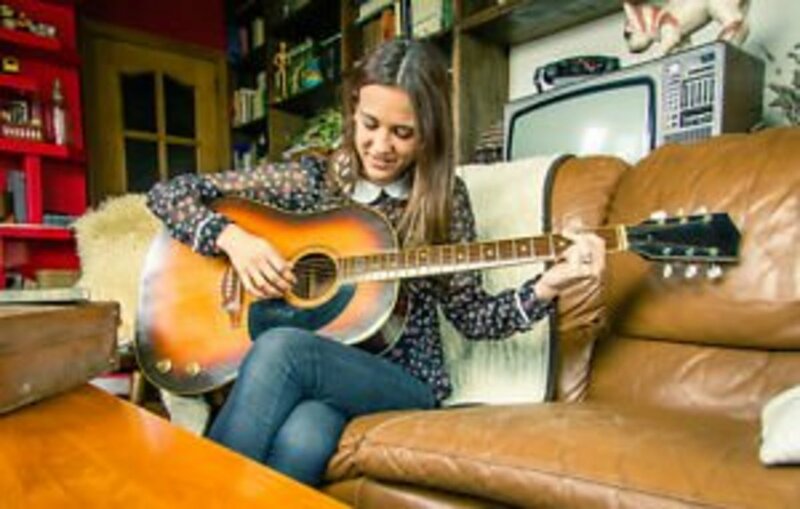 There are NOT better guitars than any of these, there are only guitars with fancier ornamentation, or guitars that are more suited to specific individuals and styles of play. So far as pricing is concerned - there is only recommended retail prices to be dealt with here - one should know that some dealers will have a set price, and you can either take it or leave it. There are other dealers, however, that provide some wiggle room, and will do a bit of dealing - especially if a guitar is traded in as well. Of course any of these guitars could be purchased on credit with a down payment - but of course, again, not every dealer of such fine instruments will be either willing or able to offer that option. I'm always here to do my best to provide any answers for any questions that anyone might have. I am looking for a small guitar to travel with, but my budget is limited to a max of $1,000. I tried the GS Mini, but it was underwhelming. Do you have any suggestions? For about $600, you can get the outstanding KLOS travel guitar. The body of the guitar is carbon fiber, and so that part is nearly indestructible. The neck comes off with four bolts so that you can stow it more efficiently. I was absolutely amazed by how great those guitars are, and I have one myself. The Persavera Guitar pictured on Hilltop Music Store Facebook page is a new design called "Mini-concert" and is highly playable with a bell like sound. I do tons of pages here and on other sites about Martin guitars. I wouldn't want folks to think I only endorse Martin or Martin style instruments. Thanks very much, Sam!!! "off and on," - I know just how that goes myself!!!!! Great read and very informative Todd. I've been playing guitar off and on for over 30 years and I learn something new every day. Andrew - I've never heard of or seen that brand. Me not having seen or heard of something doesn't at all for even a second mean that that brand doesn't produce fabulous instruments. If you'd give me some good links in the comments here - I'd really like that! That is interesting, "you," as I got my data online....from one of the major distributors' website. You are incorrect in that the Taylor 712ce has a scale of 24 7/8 not 25 1/2. The 714ce is 25 1/2 scale. Well, because there are a lot more than just five great guitars of this size, and I only wanted to list five, so it is my personal picks of the top five. If I'd made a top ten article, it would be too big an article. I do like Larrivee guitars quite a lot though. I haven played with many of them, but the ones I have seen I thought were priced really well, and sounded great. 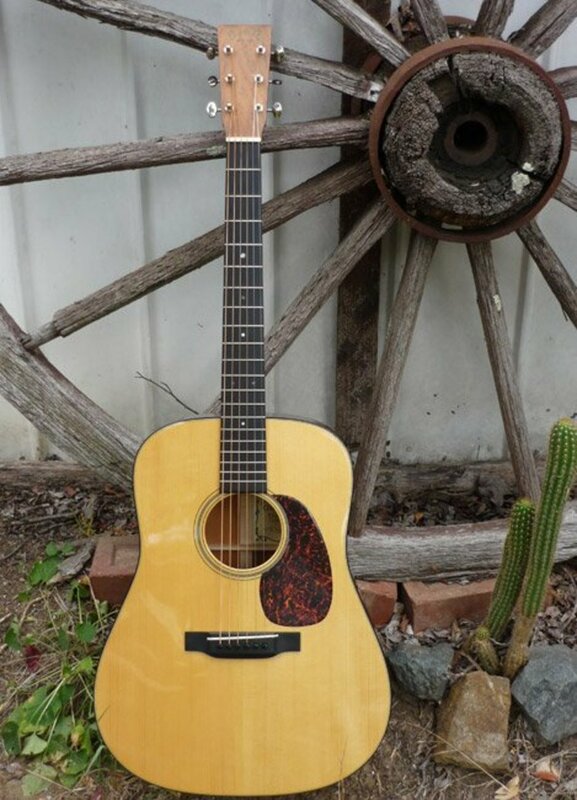 How come you didn't mention the Larrivee OM10E DLX guitar. Hey Brian Slater! These are all made of very fine and high grade cuts of wood - the grain selected specifically because of what is known to produce the finest tonal characteristics! Of course the wood and the folks who made the things are why they cost so much - but these puppies here are all works of art besides being musical instruments!!! Guitar folks call the disease "GAS" : Guitar Acquisition Syndrome!!! hahahha!!! But I like typing comments in little boxes!!! LOL! I might try to write a Kindle book sometime, Sueswan!! Thank you! You should write a book Wes! Is your Santa Cruz guitar insured? Wichita Falls got EIGHT inches! We might have got one. You're wild, Dusty! I've got a huge stack of old guitar magazines with tons of information/inspiration so far as equipment goes. I'll definitely keep throwing stuff out there. I'm trying to make some money! LOL! Everyone is freaking out here In Kaufman today - we finally got some rain after having none for months. Wesman, good stuff here, I never played the strings you recommend I've played studio grade LaBella for 30 years that deliver a squelch free change up on flying tunes. I'm guitar poor ha ha, but my Bose speakers here the Bourgeois sounded great and I'd consider it on that basis alone. I have several amps and often use a microphone on non-pick up models. Kick us an article on an add on pick up for a flat top box that delivers what the guitar throws down and mounting methods. I think that helps drive a player to be able to add effect as they learn. I still remember the beginning year of disappointment in not being able to play a strum that didn't sound like crap. Adding a home made pick up to a 10 dollar amp increased the fun level. Heck Yeah, Don Bobbitt!! Thank you! I used to have one, a little Gibson LG-O, now that I know they don't make them anymore I feel like a total fool for having sold the thing. A Good Read, voted UP and interesting.